After turbulent months with a change of ownership and internal restructuring, Musical Fidelity has good news for the end of the year: The new beginner series M2, consisting of the CD player M2sCD and the analogue integrated amplifier M2si, leaves an extremely positive impression thanks to the clear concept and the focus on classical HiFi virtues. 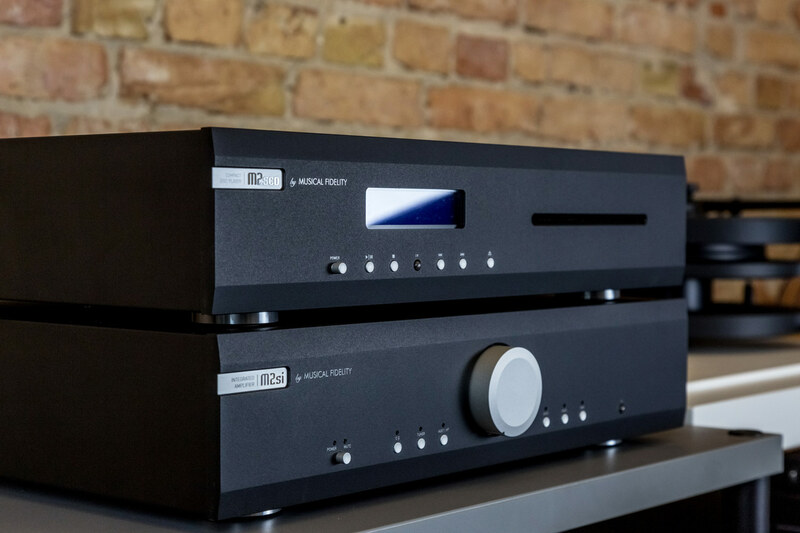 As mentioned at the beginning, the M2 series is a beginner’s model, but in many respects, they benefit from the large series from Musical Fidelity. This already starts with the solid metal case with the unmistakable aluminum front, which is available in black and silver as usual. The buttons and – in the case of the M2si – the generous volume control also have the haptics typical of the manufacturer, and the blue illuminated display of the M2sCD shows the most important information in clear letters. Both components are of course supplied with an infrared remote control. The devices are each enthroned on four stable feet, which with their glossy finish provide a beautiful contrast to the matt front. In addition, all connections sit securely in the case, matching the overall impression. Which sockets are available here in detail, we’ll clarify below if we take a closer look at them in detail. The M2sCD is a real specialist, who basically only knows one function, but it does it really well: reading and converting CDs. The player doesn’t have a drawer, instead, the CDs are simply fed through the opening into the precision drive. Inside the M2sCD is a 24-bit delta-sigma converter with eight-fold oversampling, which produces an extremely stable signal with low distortion thanks to carefully programmed filter algorithms and a particularly precise low jitter clock. In addition, the M2sCD has a so-called “mains choke filter”, which also ensures that the power supply does not produce any unwanted signal interference. 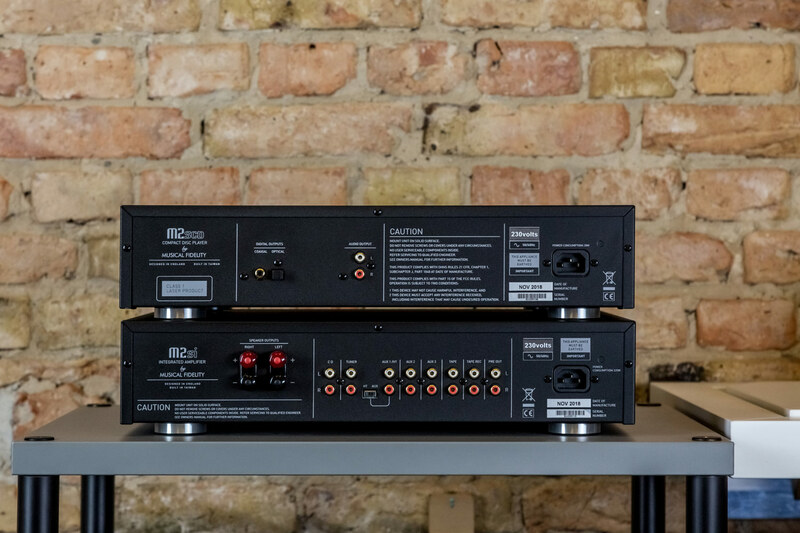 The connection panel, as well as the range of functions, is limited to the essentials: The converted signal can be picked up via a stereo cinch output; alternatively, a digital signal is also available at the optical or coaxial digital output. Directly related to the integrated amplifier only the cinch output is suitable for connection because the M2sCD’s gaming partner offers a fully analog circuit concept. 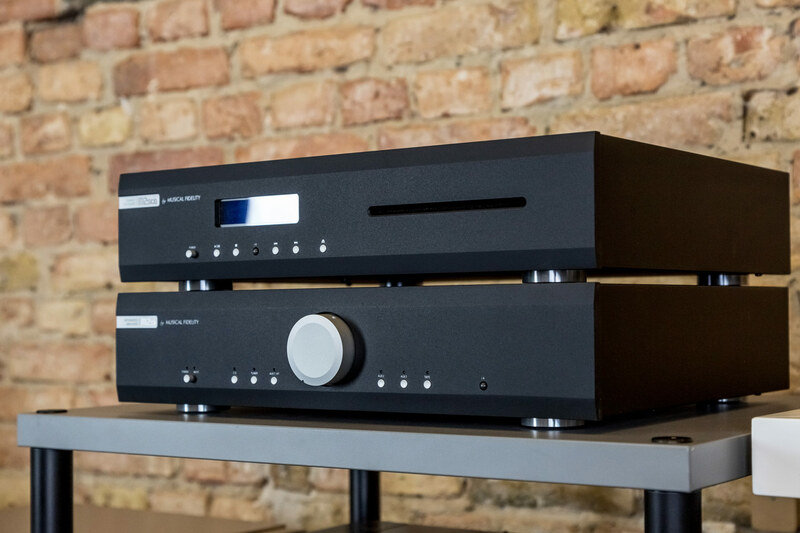 It is particularly worth mentioning that the preamplifier and power amplifier are housed in the same case, but apart from that, they operate separately. 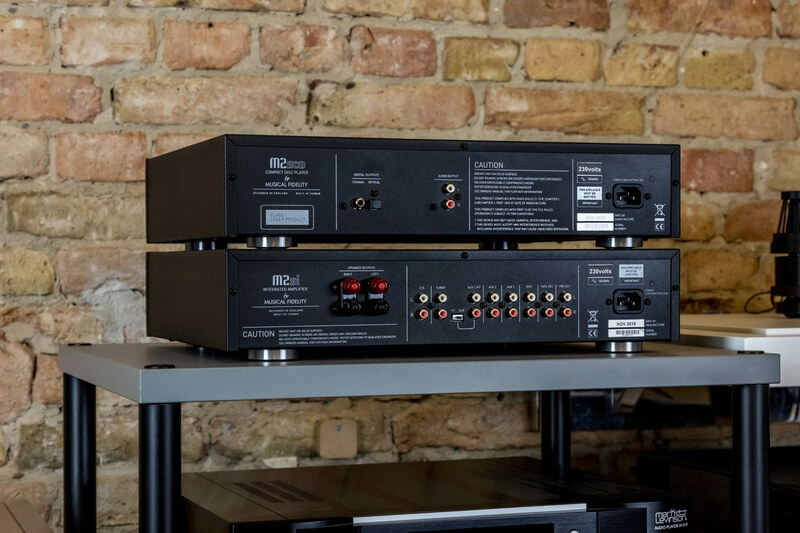 Both sections have a separate power supply and also differ with regard to the operating mode: The preamplifier operates in less efficient but low-distortion Class A mode, the two discrete channels of the power amplifier operate inefficient Class A/B mode. As usual with Musical Fidelity, the board of the M2si is designed according to the SMD principle – short distances and thus clean signals are the desired result. A classic toroidal transformer rounds off the audiophile circuit design of the full amplifier. A look at the back of the musical Fidelity M2si remains. In addition to the obligatory terminals for the speaker cables, there are six RCA inputs for various stereo sources and two outputs on the rear, with the tape-out bypassing the volume control. The same applies to the “Aux 1” input if it is set to home theatre mode via the switch. This allows the volume control, for example, to be controlled exclusively via an external AV receiver. 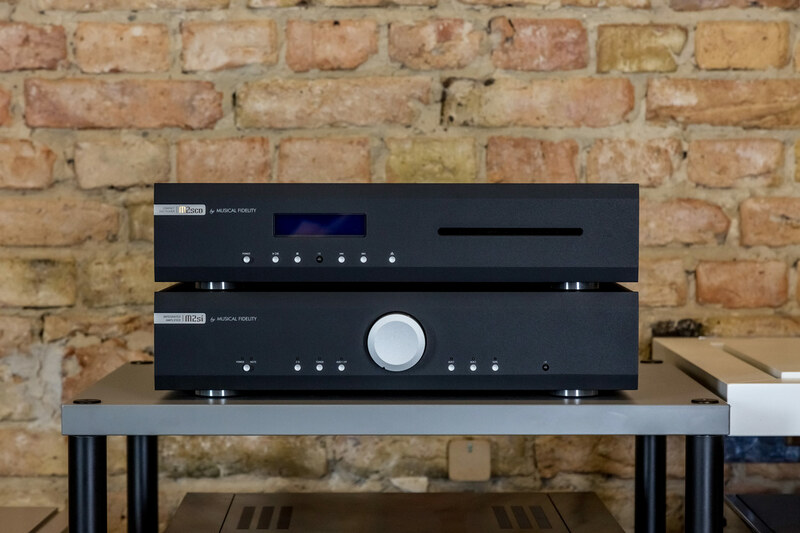 The combination of the CD player M2sCD and the integrated amplifier M2si results in an excellent sounding HiFi system at an absolutely fair price. It’s obvious, of course, that the topic of streaming is left out here for the time being. This can be easily changed by adding a small streaming client à la Auralic Aries Mini or Bluesound Node 2i, however, and in combination with a good loudspeaker, you get a modern music system with high musicality. Test it!